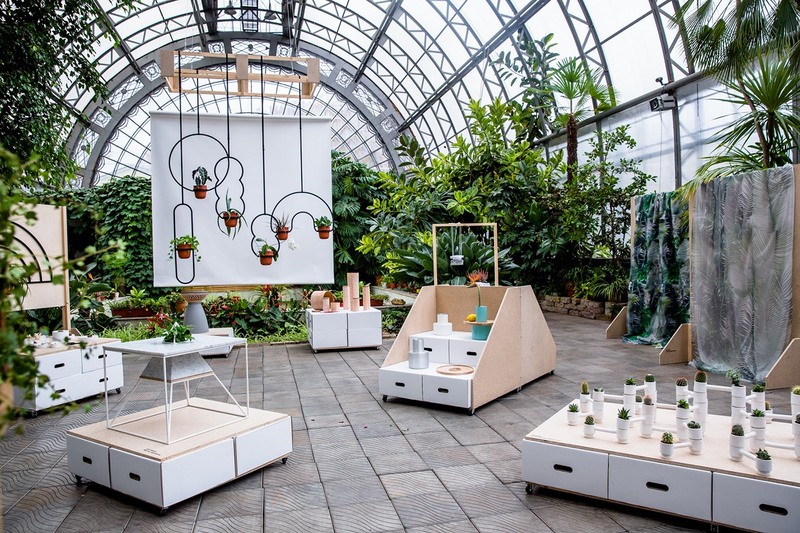 New curated project, uniting more than 15 Russian product designers, explores living with nature in the urban settings and aims at bringing back nature into the everyday experience of city dwellers. Naturalist by curator Tatiana Kudryavtseva and product designer Yaroslav Misonzhnikov continues the series launched in 2014 with IZBA, the project reinterpreting Russian traditions of living and shown in Milan, St. Petersburg and Moscow. Exhibited at design weeks in Milan, Paris and Florence, works featured in Wallpaper*, Interni, Elle Decoration Russia, AD Germany. In 2015 hit the list of the most perspective emerging designers Young Guns by Dwell magazine and took part in the project of AD Russia magazine dedicated to the rethinking of traditional crafts. Maxim designed new products for the one of the oldest manufacturers in Russia Zhostovo. Founder of Asketik brand celebrating the purity of minimalistic aesthetics in everyday objects. Items of this series with a minimalistic design serve as a perfect background for little treasures you bring home from the forest or park, seaside vacation or a road trip, as well as souvenirs from friends or just things that you want to keep highlighted. Observing things that are meaningful for you helps to concentrate and restore emotional balance, as well as individual natural rhythm. 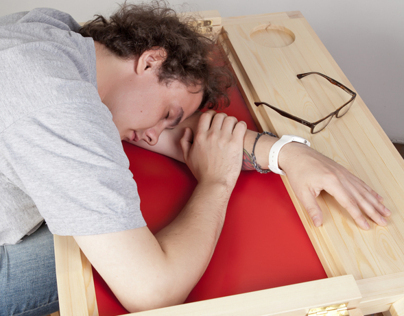 With a professional background in architecture, in 2009 Alexander launched a workshop to produce furniture and interior object of his own design. Works mainly with wood and knows all odds and ends of this material, but also employs plaster, ceramics, plastic, recycled cardboard and paper, discovering new material properties to embody new product ideas. Exhibited at SaloneSatellite WorldWide Moscow, Habitare (Helsinki), Milan Design Week, Paris Design Week. Works featured in Interni, Elle Decoration Russia, AD Russia, Dezeen. Recently launched his own showroom in St. Petersburg. Two modules allow constructing a variety of combinations and welcome to create architectural structures that function as a planting system for cacti and other small plants. The bridge joining two parts of a double module works as a safe handle while carrying of replacing prickly plants. 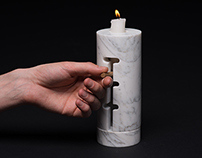 Works with porcelain and pursues the preservation of handcraft traditions. Collections emerge according to a principle of rituals, where every object becomes a special attribute. Everyday objects acquire sacral meaning and involve the user into a play. Participated in design exhibitions in Moscow and St. Petersburg, Lodz and Paris. Works featured in Elle Decoration Russia and Dezeen. Currently continues her studies in the University of West Bohemia (Czech Republic) and works on production of her designs in small editions. 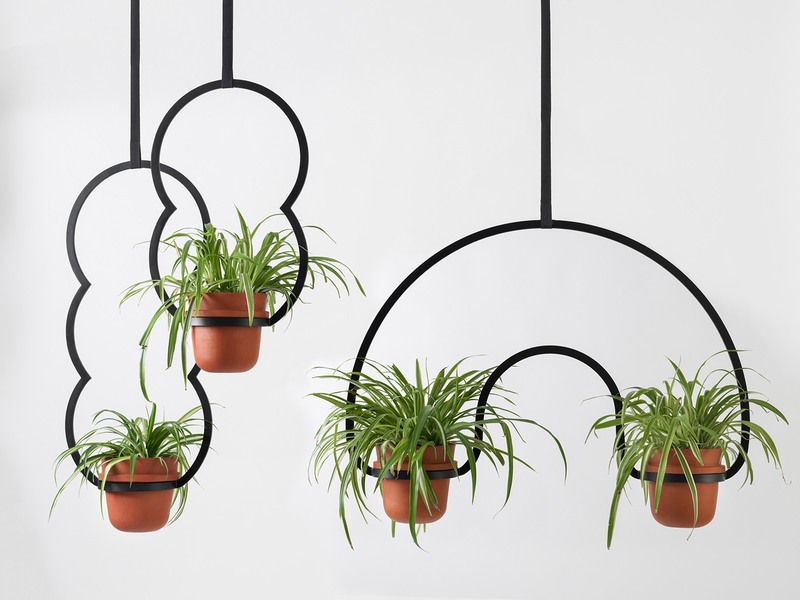 Two major shapes stand for two major functions; their combinations bring forth a module that you can endlessly replicate to form a hanging system for plants. The series includes a pot, a watering tank, storage container and a tray. Ideal to grow and consume spicy herbs. Initially launched to produce design toys, Ania’s own brand Fёdor Toy now develops in a product design direction and has an ambition in the fashion area. In addition, Ania works with illustration and styling. Works were exhibited at design weeks in Milan and Paris and featured in AD Russia, Elle Decoration Russia, Interni, Dezeen. 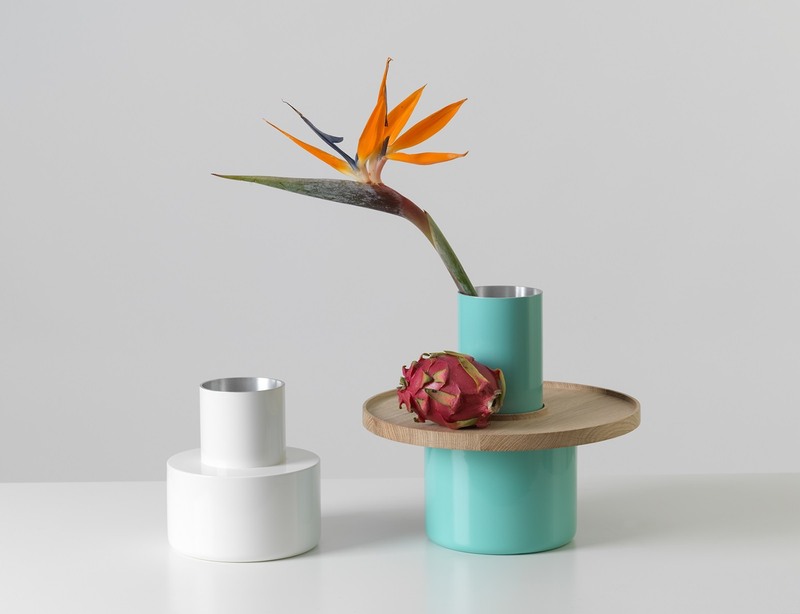 Transformer object consists of a vase in painted metal and a removable wooden tray. Offers a variety of arrangements of flowers and fruits in a neat combination on your table and facilitates treating your guests. Minimalistic forms and durable materials are balanced with subtle color combinations and provide the best possibilities to create a stylish still life celebrating the gifts of nature. Exhibited at design weeks in Milan, Paris and Moscow, works featured in Interni, Ottagono, AD Russia, Elle Decoration Russia, Dezeen. Currently develops her own production of design objects, started with Light Bean oak lamp. In 2015, apart from curating the Moscow exhibition of TobeUs, Katerina took part in the project of AD Russia magazine dedicated to the rethinking of traditional crafts. For this project, she designed a series of pendant lights Moroshka for Gus-Khrustalny crystal glass factory. Kuiper Belt is a cluster of bodies located beyond the orbit of Neptune. Since its discovery in 1992, the number of known so-called Kuiper Belt Objects has exceeded a thousand, with more than one hundred thousand supposed to exist. Probably, there is also at least one more giant planet to discover; however, we will never be able to see it, as the sunlight never reaches this remote area. Hanging planters represent planets, surrounded with the lines of their unique orbits and containing forms of life yet not found in our Galaxy. Finds inspiration in her native culture and traditions, as well as material research. Fascinated with colors and textures, textiles and ceramics. Ekaterina has just graduated from Design Academy Eindhoven (The Netherlands). Completed a research of coming trends in well-being at home for the main office of IKEA of Sweden, as a part of her internship. Works featured in Elle Decoration Russia, Elle Decoration NL and Dezeen. 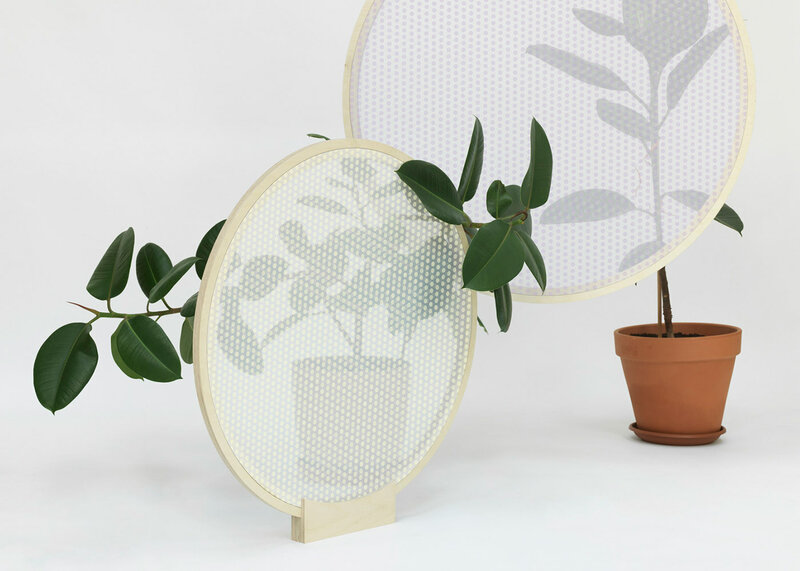 Textile screens follow the rhythms of nature and take inspiration in the rules of life of plants. Photochromic print changes color and its intensity during the day depending on the solar activity. 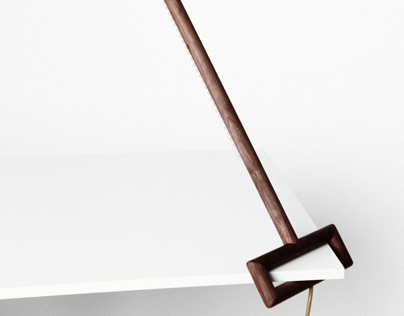 Worked as intern for design studio of Kiki van Eijk and Joost van Bleiswijk (The Netherlands) and company LAGO (Italy). Participant of the international design exhibitions in Milan, Stockholm, New York and Cologne; works featured in Wallpaper*, Interni, Domus, AD Russia, Elle Decoration Russia and Dezeen. Winner of SaloneSatellite WorldWide Moscow contest (2012), awarded with a special diploma by Giulio Cappellini in the framework of Moscow Design Week (2010). Co-founder of Imenno-buro studio of design (est. 2013). 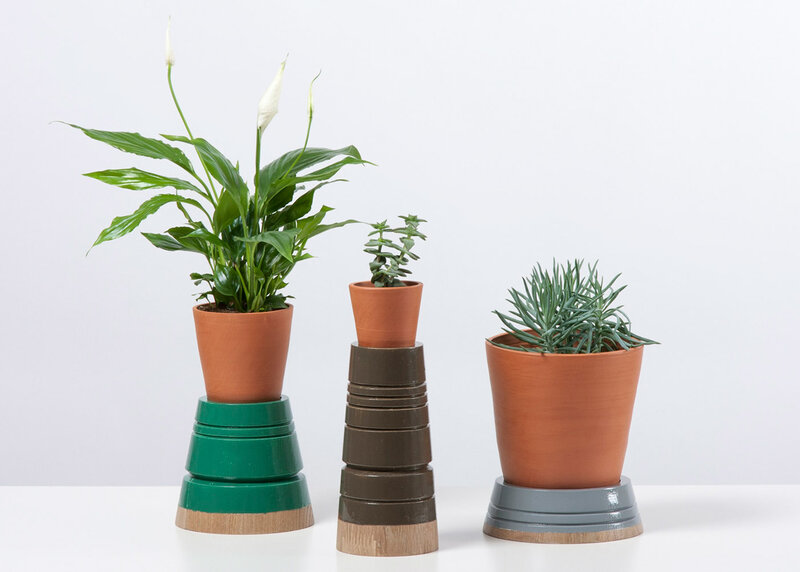 Flowerpot stands in wood with an oil paint finish rework the aesthetics of the Soviet time, when oil paint was one of the most popular decorative materials and was widely employed in both exterior and interior works, public and private spaces. Minimalistic carving on the wooden stands refers to a common mistreat of grand architecture under the Soviets, when carved wooden doorways and other magnificent pieces were buried for good under many layers of this paint. Elvira Lomovskaya and Nikita Cherevkov founded the brand working at the intersection of product design and fashion in 2012. 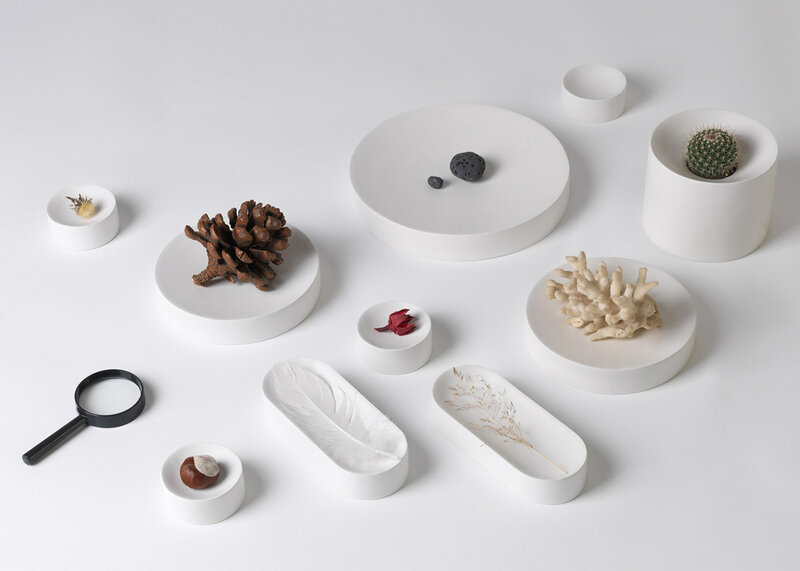 Initially focused on minimalistic bijous produced from materials and with technologies that embody the spirit of contemporaneity (such as acrylic plastic and 3D printing), the team currently develops a collection of small objects for home and interior. Works featured in InStyle, Bizart Magazine and Dezeen. In urban settings, playground works as a special microstructure, living by its own rules and offering a retreat or escape from the city bustle. Trees and other natural elements usually surround constructions for games and exercises. 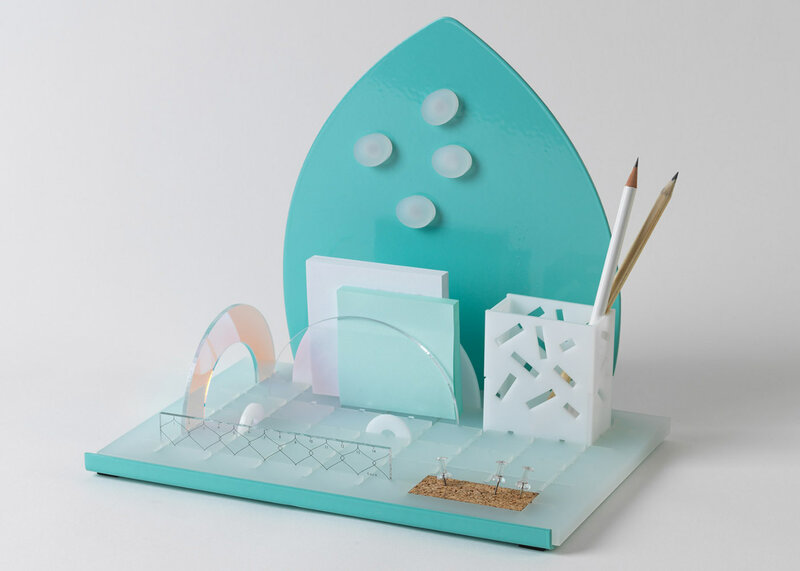 Organizer calls for a playful atmosphere on your desk and allows setting your own game rules, changing configuration of the structure by moving and turning over separate elements on the grid structure. 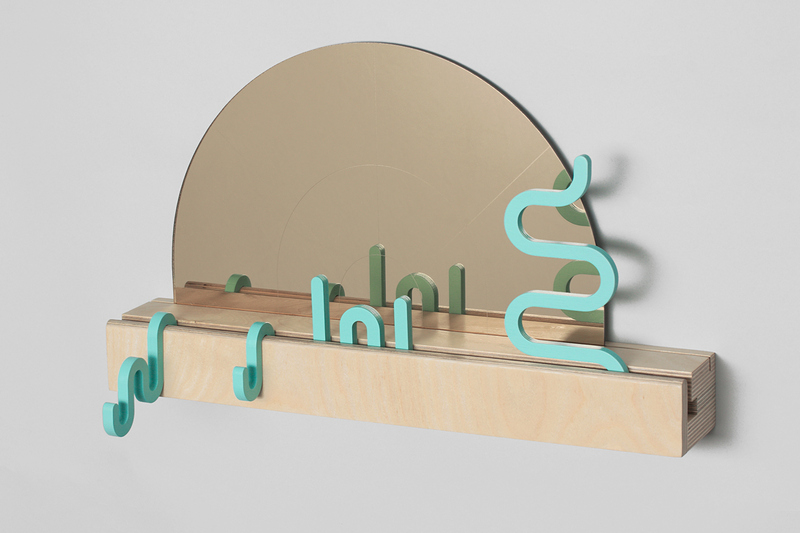 A shelf with a mirror, a set of hooks and stands for bijous and small items you want to keep in sight and in order (photos, glasses, keys etc.). 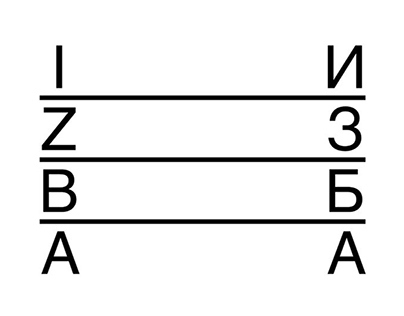 The mirror takes after a structure of a greenhouse (‘teplitsa’ in Russian). Shapes of the hooks and stands remind of first spring sprouts. Enjoy the freedom to rearrange the items on the multifunctional shelf. 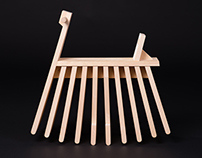 Exhibited at Lahti Biennale (Finland, 2011), Milan Design Week (2014) and SaloneSatellite WorldWide Moscow (2015). 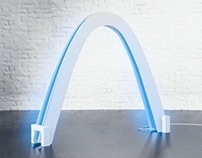 Winner of the international contest Nayada Archchallange Flex Office (2013) and international competition Design Debut in product design nomination (2015). Works featured in Elle Decoration Russia, Vogue Australia, Loves by Domus and Dezeen. Put as many plants as you want, choose order and change the pattern by moving pots along the beam axis. Co-founder of the product design brands Vool and Prokk, as well as Plan-S23 product and interior design studio; recently co-founded Facultative Works, a studio working with experimental projects and building design process on a holistic approach, combining illustration, identity, sound, editorial, product and interior design. Exhibited at design weeks in Milan, London and Paris, works featured in Wallpaper*, Interni, Elle Decoration Russia, Dezeen. Three-level stand for plants from three materials in a refined combination. 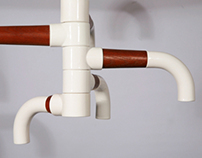 Design is inspired with the aesthetics of public spaces of the Soviet period. Every of the three levels works fine not only for plants, but also as a shelving or console for any type of items. Textile designer creating unique fabrics for interior decoration and fashion. Collaborates with a number of interior showrooms, architecture and design bureaus, fashion brands and textile editeurs. Co-founder of two fashion brands producing garments with prints, Hekinah Degul and Gerassimova & Ola Ola. Exhibited at design weeks in Milan and Paris, works featured in Marie Claire, Interni, AD Russia, Elle Decoration Russia, InStyle, Cosmopolitan, Dezeen. Decorative textile with a three-dimensional effect obtained by matching fabrics of different texture with the same printed image. Delicate stiches of hand embroidery anchored the layers one to another. Textiles create a hyperrealist image of exuberant foliage and transform any space into a luxurious garden. Co-founder of Plan-S23 design studio and Prokk brand, works with interior and product design. Exhibited at design weeks in Milan and Paris. Works featured in Interni Russia, AD Russia, Project Baltia, Unthink, Icon, Ignant and Dezeen. This coffee table is a capsule for herbs or plants, inspired with the Soviet satellite Sputnik-5, which was the first to bring living beings and plants to the orbit and return them safe back to Earth. The table acts as a guard of the plant bursting from the opening in the marble top surface. A small pyramid structure protects the plant from the contact with other items on the table (books, magazines, cups etc.). With the marble tabletop removed the object works as a flower stand. 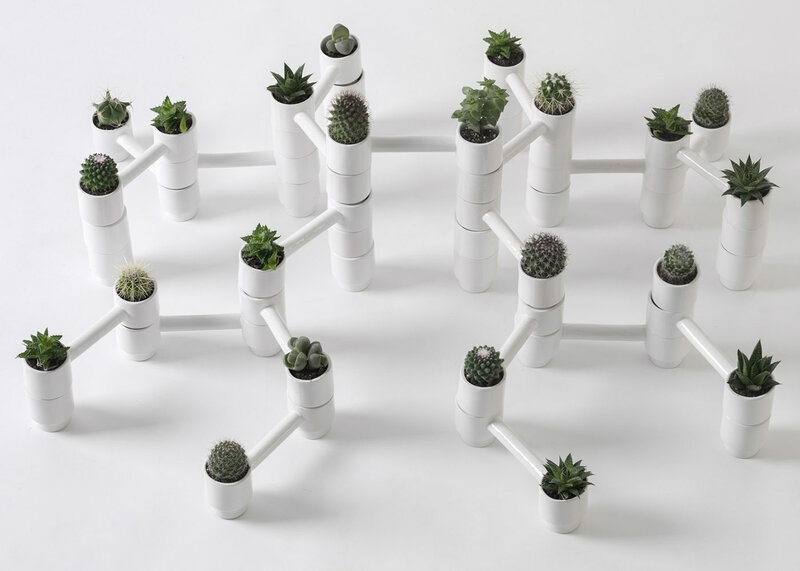 Experiment planter tests the ability of plants to survive in an urban reality. It is a proving ground with multiple scenarios, where plants have to find their own way to the light. Modules imitate slots between parapets, concrete constructions and pavements, ventilation and sewer hatches: places where nothing is supposed to grow. Concept and stylistic features draw inspiration from the post-Soviet architecture, actively employing sandstone in a combination with brass. Works with interior and product design. Objects featured in Interni Russia, Project Baltia, Elle Decoration Russia and Dezeen. Orator is an object combining strong visual aesthetics with functional purposes, and meeting the needs of both birds and people. It combines a planter with an ergonomic bird feeder, a nest and a speaker. Clambering plant gradually transforms the cage into a safe and cozy nest, while the speaker enhances the sound of pleased birds singing. Peaceful sounds of nature along with taking care of animals (while pleasing your eye with beautiful shapes) are certain to improve the well-being of a person living in town. Born in Siberia (Russia), currently lives and works in Berlin (Germany). Participant of the exhibitions in Berlin, Moscow, Milan, Paris, London, Munich and Cologne. Works featured in Domus, Wallpaper*, AD Russia, Interni Russia, Elle Decoration Russia, Dezeen. Awarded with the prize of SaloneSatellite WorldWide (Moscow, 2014), a nominee for Materialica award for innovative materials (Munich, 2014). 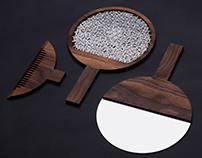 Explores the potential of natural materials, traditional techniques and crafts for contemporary products. Developed a unique technic of processing birch bark, uniting old Siberian craft and contemporary design. Product series reviving the traditional Siberian technic of working with the natural birch bark. Contemporary design and up-to-date processing of the material bring back the practical essence of this craft lost in the era of industrial production. Every product of the series, respectful for the old tradition and at the same time far from having any folkloristic touch, uncovers unique aesthetics and functional qualities of birch bark in its own way. 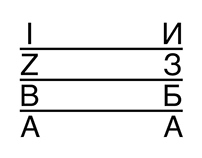 Products are manufactured in Siberian by skilled artisans. Shades of suspension and table lamps are shaped with a centuries old traditional glue-free method of joining birch bark parts. Svetoch produces a soft diffused light giving a room a homely feel and celebrating the unique beauty of the material. Perfect storage for dry food, spices or tea. Thanks to the antibacterial and insulating qualities of the essential oil produced by the birch bark, contents stay fresh 2 to 3 times longer than in conventional containers from such materials as glass or plastics. Surface is velvety smooth and stays non-slip even if getting wet. Angular shape decoratively emphasized with the stitching along the fold lines makes light and durable containers highly stable. The lid and the base come in Siberian cedar wood. Containers are available in 3 different sizes. The three-dimensional meshwork of sewn birch bark stripes is fixed on a steel frame. The stable and springy seat creates an optical illusion, combining a striking decorative effect with sitting comfort. The product demonstrates flexibility and, at the same time, durability and strength of the material. Trained as an architect, Olesya developed a big interest towards research of natural materials and practical work with them, consequently switching to product design. At the moment works mainly with ceramics, combining it with other materials and using various technics. Plans to master wood, wicker, wool, stone and metal. Draws inspiration from the identity of her native land Siberia with its fascinating natural beauties, old legends as well as a specific lifestyle that came into being as an impact of severe weather conditions and certain historical events. 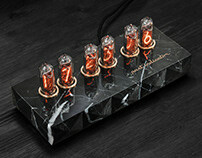 Exhibited at SaloneSattelite WorldWide Moscow, works featured in Dezeen. Pottery making and wicker weaving are among the oldest known crafts. Vase and bowl of laconic shapes interpret traditional materials in a contemporary context, while keeping their original natural warmth. Vase and bowl welcome to play with shapes and functions in a transformable object, defined by contrasting colors and textures and harmony of natural materials. Born and raised in a family of space engineers, Lera implements the influence of the images of the space industry on her own design aesthetics. Works with various materials, particularly attracted by porcelain, glass and wood. 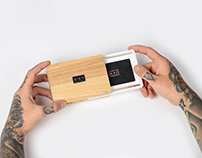 Collaborates with such brands as Nooka, Casamania, Berto and designer Luca Nichetto. Exhibited in Milan, London, New York and Mexico City, works featured in Frame, Elle Decoration, AD, Dezeen. 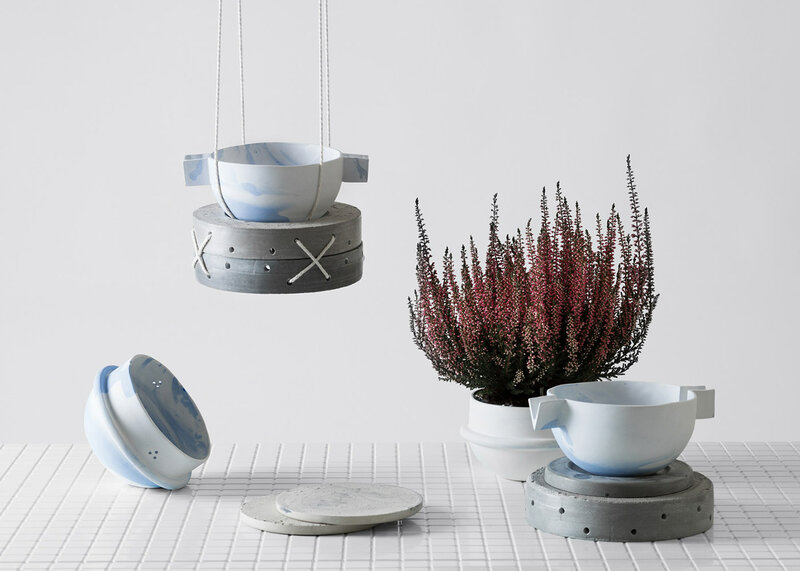 Her Sucabaruca coffee set for Mjolk received the Wallpaper* Award for Best Coffee 2015. The higher a stem of a plant reaches to the light, the deeper its roots grow into the ground. The nature of this chair evolves according to the same principle; chair legs work as ‘roots’ that give a stable and safe base for the chair to grow. Finished with thermosensitive paint, the chair changes its color depending on the temperature, just as like leaves change colors through different seasons. Lesha Galkin and Olga Marchenko founded this studio to work only on awesome experimental projects in free time and for fun. After a while, FW grew into a more serious enterprise, but its work approach stayed the same. The studio practices a holistic approach to design working at the intersection of illustration, identity, sound, editorial and furniture design. Crispy Point agency specializes in food, fashion and product photoshoots, and works with such clients as Yota, Fazer, Prisma, Alfa-Bank, Danone, along with developing self-initiated non-commercial projects. In 2015 the agency presented Metropolitan, photo project dedicated to St. Petersburg subway, and made a concept photoshoot for Naturalist. Independent design curator and pr-representative. Co-founder and curator of a series of projects promoting Russian product designers launched with IZBA (shown in 2014 in Milan, St. Petersburg and Moscow). Previously worked for Design Gallery / Bulthaup Center St. Petersburg (2005-2014), curating exhibitions of such international designers as Gaetano Pesce, Ingo Maurer, William Sawaya etc. and managing publishing and educational activities.